Thomas Brophy: Favorite James Gandolfini performances? 38:48. Moritz Schubert: What does “Mos” and “Sync” stand for [on a clapperboard]? + More about David Seville: http://en.wikipedia.org/wiki/Ross_Bagdasarian,_Sr. FP (on her swing): I'm going to swing higher and higher until I touch! the clouds. FP: There is a giant up there. So, I'm going to jump from cloud to cloud until I reach the giant's cloud. FP: And then I'm going to eat. Him. UP! Me: He must not be very giant if you can eat him up. FP: I'm going to eat him up like a Venus Flytrap! Me (astonished): Venus Flytrap!? Where did you hear about that? FP: From Plants vs. Zombies, of course. RE: Ok with Hobbit in three films? 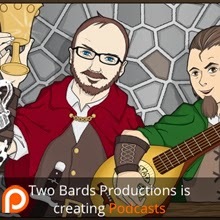 RE: Preproduction on Glass Cannons? RE: Which universe would you want to live? 2:11: Andy reminisces about his high school days. + Still looking. It shall be found! 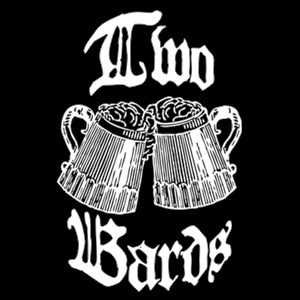 Two Bards, One Mic -- Episode 11: Some Like it Hot: Hot, Hot, Hot! Scott participated in a read of Fortune Hunters. Movie where Sean Bean doesn’t die? Reportedly Flightplan, National Treasure and North Country are a few he lived all the way through. Scott was in a Safeway sponsored commercial for (? ?Seattle Children's Hospital Foundation??). It is currently airing as a trailer piece at SIFF, and has been picked up for a one-year rotation in the Pacific Northwest.